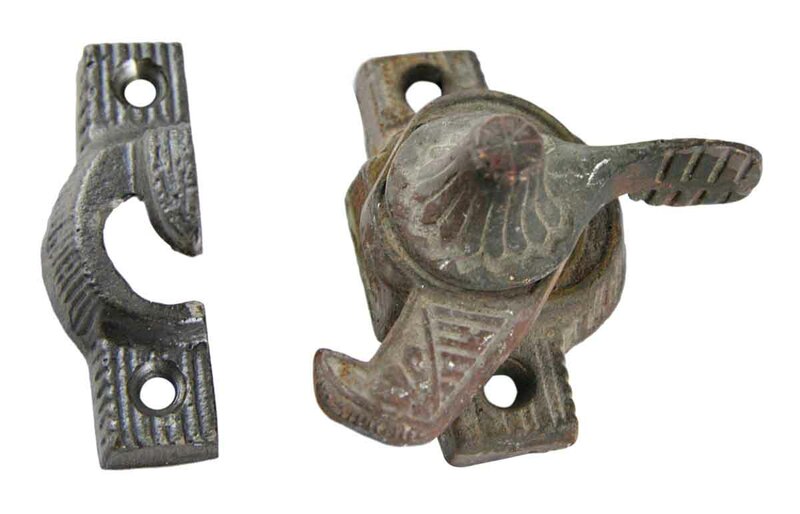 These original antique Eastlake window latches are a rare find. Each latch consists of an original lock with a reproduction keeper that has been made to match it. Great for remodelers to match the original hardware. Priced each.